Traditionally, manufacturing industries are concerned with quality, cost, and productivity. The new dimension added to these, as a business megatrend, is sustainability . Industry needs a trusted system of metrics and the underlying measurement science to compute those metrics. Standards enable repeatable and improvable processes and as such will allow industry to move forward in achieving sustainability goals. Awareness of the business benefits of sustainability is increasing , , . As a result, more and more companies are asserting an important strategic relationship between innovation, competitiveness, and sustainability. These companies see sustainability as a critical part of the next stage of their development with the potential to cause significant structural and disruptive changes. To plan for these changes, companies are building business cases for sustainability. In building these cases, however, they constantly come up against two critical measurement science barriers: the need for well-defined metrics and standards, and a measurement science-based methodology to aggregate metrics across global supply chains within manageable uncertainty. To address the industry needs, NIST Sustainable Manufacturing Program is focusing on developing measurement science-based methodology to enable analysis and synthesis (allocation) of the energy and material footprints at the factory level for gate-to-gate life cycle impacts. This talk will give an overview of the Sustainable Manufacturing program, and describe the measurement science needs and the strategies for the development and deployment of advances in measurement science and standards for sustainability in manufacturing. 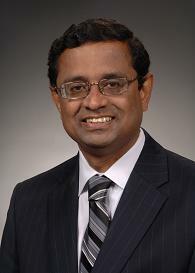 Bio: Dr. Sudarsan Rachuri is a computer scientist in the Life Cycle Engineering Group in the Systems Integration Division at NIST. His primary objectives at NIST are to develop and transfer knowledge to industry about information models for sustainable manufacturing, green products, assembly representation, system level analysis, and tolerance representation. Specific focus is on identifying integration and technology issues that promote industry acceptance of information models, and standards, that will enable designers to develop products that are sustainable and manufactured in a distributed and collaborative environment. Dr. Rachuri's primary areas of interest are Sustainable Manufacturing,, Scientific Computing, CAD/CAM/CAE, Design for Sustainability, Object-Oriented Modeling, and Ontology. Dr. Rachuri is an ASME Fellow, having been elected in 2012 for his significant contributions in the areas of information and semantic modeling of product life cycle management, and the application of measurement science for sustainable manufacturing.